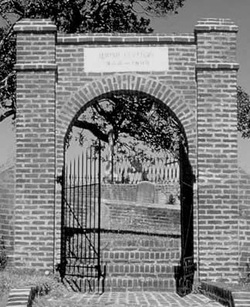 While there are some reports of an eighteenth-century minyan and an early cemetery on Canal Street, Natchez’s Jewish congregation officially started in 1840 when a group of merchants bought land for a Jewish cemetery. By 1843, this group of men had formed a traditional burial society called “Hevrah Kadishah” to honor those that would depart in the traditional European style. 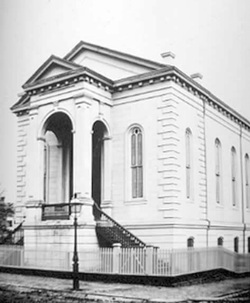 This society of German Jewish immigrants began the history of Natchez’s current synagogue, Temple B’nai Israel. Members, Joseph Deutch and Moses Hasan led the efforts of this group. In 1844, the earliest official orthodox burial happened under the auspices of this society. On January 27, 1848, Hevrah Kadishah was officially incorporated with the state, the first Jewish congregation in Mississippi to do so. While burial rituals were a key component of the group, Hevrah Kadishah’s members also held worship services as well, mostly likely in stores owned by congregation members. During the early years of the civil war, the congregation ceased to meet. Hevrah Kadishah reorganized itself in 1864 with John Mayer as the new president. A. Beekman, D. Moses, A. Meyer, S. Dreyfus, and H. Silberburg helped Mayer restart the group, which worshipped in rooms above such stores such as M. Lemle’s. Members paid $5 for initiation followed by $1 in monthly dues. They also instituted a $1 monthly fee given to a local charity to show support for tzedakah in the Natchez community. The congregation grew to the point of selling high holiday seats to the highest bidder, a practice that continued when they moved into a permanent building. Weddings in the society’s presence cost $10, while Hebrew school was $1 for members and $2.50 for non-members, showing that some area Jews were not affiliated with the congregation. In addition, failing to appear at a Hevrah Kadishah meeting resulted in a $1 fine. In the initial by-laws of the 1864 Hevrah Kadishah, strict laws existed for comporting oneself during worship. For example, no children under five years old could be in the synagogue during prayer, while the congregation president had to be at every service. This orthodox group of merchants led services to the best of their abilities, but they were always requesting help from outside people who could serve as school teacher, cantor, and schochet (kosher slaughterer). 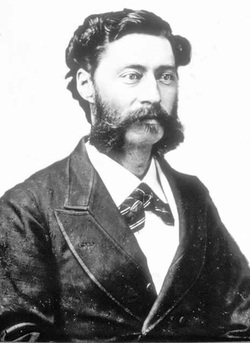 A Mr. Rosenman, for example, was a cantor and teacher during the 1860s and later a schohet. While it was hard observing traditional Judaism’s strict dietary rules, Natchez Jews did the best they could. As new Jewish immigrants arrived in Natchez, many of them began to question the congregation’s orthodox practices. In 1865, Sam Ullman came to town and saw the successes of the Hevrah Kadishah. Nevertheless, he disliked the strict orthodox structure because neither women nor children involved themselves in the Jewish community. Ullman believed that a good Sunday school program was necessary, for “the children grew up like heathens.” When Ullman became president of the congregation, he started a religious school with the help of the Jewish women of Natchez. His ideas about incorporating ritual changes soon brought Ullman into conflict with the old guard. In 1866, having outgrown their rented rooms, Hevrah Kadishah bought land for a future synagogue at the corner of Washington and Commerce streets. With Natchez’s Jewish community growing and flourishing economically, it was time for a permanent house of worship. This new building brought to a head the conflicts within the congregation as they argued over where to place the bimah. Traditionally, the bimah was located in the center of the room facing the front. 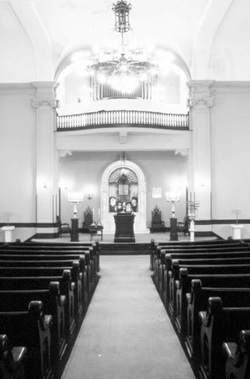 Under the reform style of worship, the bimah was at the front of the sanctuary facing the audience. Ultimately, in 1871 the congregation, now named B’nai Israel, decided to follow the reform style of worship, adopting Minhag America. To prevent the formation of a splinter congregation, Ullman and others passed a rule stating that any Jewish separatist would be banished from the local Jewish community. Despite the tensions, the congregation remained together as it adopted Reform Judaism. In 1870, B’nai Israel laid the cornerstone for their new building, with Rabbi Isaac Mayer Wise, the founder of American Reform Judaism officiating. In 1872, they formally dedicated their new synagogue with Rabbi David Lilienthal of Cincinnati as their honored guest. Isaac Lowenberg brought a Torah from Hechingen, Germany for the congregation. In 1873, the congregation became a charter member of the Union of American Hebrew Congregations, making official their embrace of Reform Judaism. The congregation adopted such reform worship elements as a choir and an organ as well as English language prayers. Despite these innovations, attendance was often low in these early years. The president of the congregation was even known to lecture the congregants about bringing people to services each week. Soon, Rabbi Norden left for Baltimore. Despite these challenges, the congregation persevered. Female members of B’nai Israel played a big part in maintaining the congregation. In 1865 they created the Hebrew Ladies’ Benevolent Association. Renamed the Hebrew Ladies’ Aid Association in 1868, the group had strict rules similar to that of the early Hevrah Kadishah society. With its nearly forty members, women paid between $2.50 and $5 for membership, depending if they had originally founded the organization. All women over the age of sixteen could join, even though the president and the vice president had to be married. With elections held every fall, the inaugural leaders of the Hebrew Ladies’ Aid Association included Mrs. John Mayer, Mrs. A. Beekman, Mrs. David Moses, and Mrs. Sam Ullman. The association ran the congregation’s Sunday school as well raising money for B’nai Israel through fairs and balls. Their efforts raised over $3,500 for the new synagogue in 1869. The group also provided nursing services for ailing members and hosted popular social events. This ladies’ aid society lasted into the 1940s even as other female Jewish organizations were founded in Natchez. In 1896, a local sisterhood and chapter of the Council of Jewish Women were organized. The sisterhood worked to increase lagging attendance at services. The Sisterhood Attendance Committee furnished flowers for each service as well as gave extra prayer books to welcome strangers in the hope of increasing attendance. Sisterhood members knitted for the Red Cross during World War I, getting a commendation for doing 20% of Natchez’s total knitting during the war. Later, they started selling flower bulbs to raise money for the congregation. The sisterhood undertook responsibility for paying for internal improvements for the temple. The Jewish men in Natchez founded a local chapter of B’nai B’rith, called the Ezra Lodge in the early 1870s. Founded by many of the same men who led the temple, this local chapter of B’nai Brith provided fraternal activities for fifty-four members by 1901. Temple rabbis were even members of the lodge. Prior to 1899, B’nai Israel had a series of short-lived rabbis until Seymour G. Bottigheimer arrived. A Virginia native and a graduate of Hebrew Union College, Bottigheimer served the congregation for fifteen years. Early in Rabbi Bottighiemer’s tenure, tragedy struck the congregation. On November 21, 1903, the temple burned to the ground as a result of faulty wiring. A few days after the fire, the Natchez Jewish community met at the Standard Club to discuss plans for a new synagogue. Henry Frank led the building committee which raised over $27,000 to pay for a new temple. While the congregation had no home, Christian churches offered B’nai Israel the use of their buildings. Non-Jews also contributed to the building fund. While their new home was being built, B’nai Israel met at the Jefferson Street United Methodist Church. As this crisis showed, the Jews and the non-Jews of Natchez had very close and friendly relations. They did business and even socialized together. B’nai Israel’s new temple was dedicated on March 25, 1905, with over six hundred people in attendance. Rabbis from other Mississippi congregations attended the ceremony, including Sol Kory of Vicksburg and Abram Brill of Greenville. Rev. A. Norden served as the temple’s first official rabbi.Created by architect H.A. 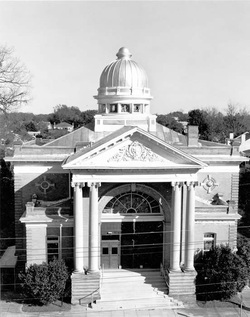 Overbeck of Dallas, Texas, who later built Greenville’s Hebrew Union Temple in the same style, B’nai Israel’s building was an example of classical architecture with round domes and stained glass windows. The sanctuary had a seating capacity of 450. The centerpiece of the building was a magnificent ark of Italian marble, located right under the new organ, which congregants played at most services. With an additional balcony for extra seating, the temple was built to house an ever growing congregation. Indeed, the building is a testament to the wealth and prominence of Natchez’s Jewish community at the time. And yet, by 1907, B’nai Israel had reached its peak size with 145 members. Since then, the congregation has gradually shrunk as B’nai Israel has never been able to fill their grand building with congregants. In 1908, two major events changed the city of Natchez. First, the boll weevil came to town, damaging much of the cotton trade that existed in Natchez. While Jewish people were not cotton farmers, their businesses depended on the cotton economy. Also, the Mississippi River flooded that year. While the city did rebuild, many Jews left for new opportunities elsewhere since many of their businesses failed from these tragedies. Between 1905 and 1927, the Jewish population of Natchez went from 450 to 150. B’nai Israel’s membership dropped to fewer than ninety members by 1938. This steep drop in membership caused this once financially stable temple to go into debt, a problem that plagued B’nai Israel for many decades. The problem was so bad that Natchez almost dropped their membership with the Union of American Hebrew Congregations because of the high cost of dues, but the movement made accommodations to keep one of its founding members. By 1940, Jewish membership at B’nai Israel was around eighty-nine members. While Natchez Jews made up most of the congregation, others came from Fayette, Bude, and Lorman as well as the Louisiana towns of Ferriday, Waterproof, and Winnsboro. There were even records of members from New Orleans even though the crescent city was hours away. 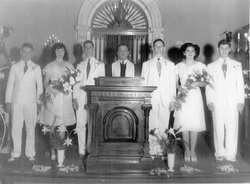 While classical Reform Judaism still prevailed with weddings, funerals, and confirmation ceremonies, there was an occasional bar mitzvah as far back as the 1940s. While the synagogue finances were tight, the congregation never gave up performing acts of charity. In 1947, the United Jewish Appeal organized in Natchez, raising $7,714. The Jewish Relief Association of the early 1900s continued through the mid-twentieth century. When Rabbi Bottigheimer left in 1913, he was succeeding by a series of short-lived rabbis, who usually left for larger congregations and higher salaries. The average stay of these spiritual leaders was about 3.5 years. Between 1955 and 1976, seven more rabbis came and went from Natchez. When Rabbi Arthur Liebowitz died in 1976, Temple B’nai Israel lost its last full-time rabbi. Since then, B’nai Israel has relied on lay leaders and student rabbis from Hebrew Union College. By 1979, fewer than thirty families remained in the synagogue. As a result of deaths and young people leaving for greater opportunities, the temple now serves fewer than ten people. In 1991, Temple B’nai Israel deeded its building to the Institute of Southern Jewish Life (ISJL) as a way of preserving it. Currently, the temple houses an exhibit about the history of Natchez Jews. As of 2017, B’nai Israel remains an active, if small congregation. Once the remaining members decide to disband, the ISJL will ensure that the beautiful synagogue will remain a testament to the once prominent role Jews played in Natchez.